The Idiom 23 Writing Workshops have been offered in Capricornia for over a decade and are provided for local and interstate writers, published and novice, to improve their writing skills, offer publication advice and contribute to the ongoing writing community. These workshops provide an affordable and accessible space for writers to come together and learn writing techniques, while enjoying the opportunity to explore the landscape and record this in words. 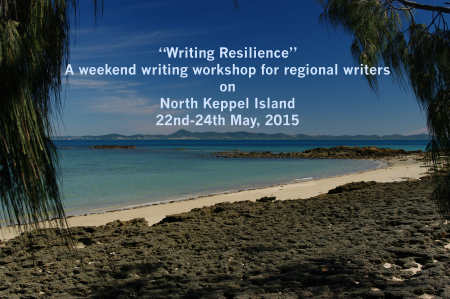 The theme for this years’ workshop is “Writing Resilience” and is coordinated by Dr Lynda Hawryluk with a small staff of practising writers, ready to encourage participants of all abilities and experience. Professor Donna Lee Brien will facilitate sessions with the regional writer in mind, examining ways for writers to build resilience and maintain a writing practice. Popular Capricorn Coast singer / songwriter Nicole Leah will entertain the group and offers her exciting and inspirational songwriting session to capture in words the themes and knowledge of the workshop. Each facilitator brings a wealth of experience, knowledge and understanding of the challenges in writing from a regional perspective.